Mark your calendar, block your dates ‘cos Pinkfong and Baby Shark are coming to Penang’s The Top on 15th & 16th Dec, 2018! 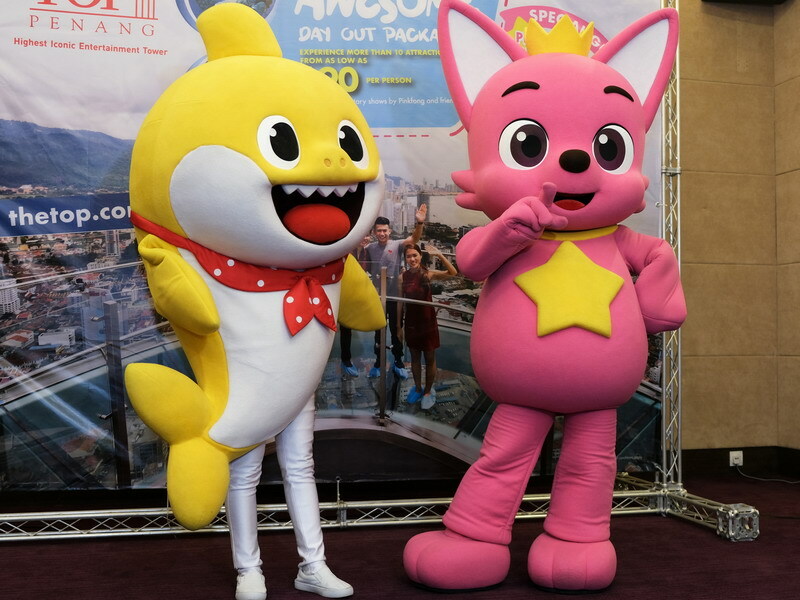 The Top Penang offers more than ten attractions within the island’s largest indoor theme park, but with Korea’s biggest exports Pinkfong and Baby Shark making a special appearance during this school holiday, the fun is guaranteed to be explosive. 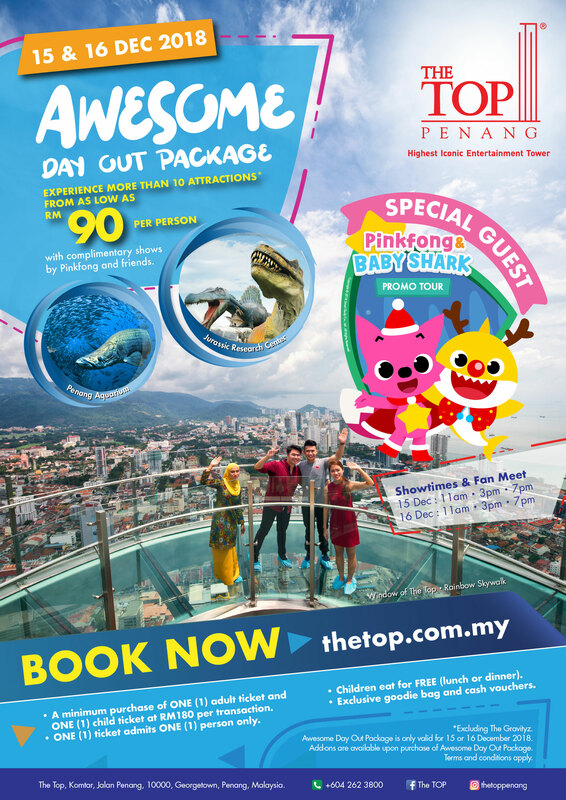 Grab this chance to experience a full day of non-stop excitement at The Top by purchasing an ‘Awesome Day Out Package’ at a minimum price of RM180, valid for one adult + one child. This package entitles them to watch these Korean sensations perform live on stage at 11am, 3pm and 7pm. Meet-and-greet sessions will be scheduled in between the performances. The child will also receive a complimentary meal through this package. For guests who wish to take home The Top’s plushies, George & Pearl, add RM80 to the purchase to receive a FREE Pinkfong & Baby Shark CD and DVD. Furthermore, there is a chance to participate in the photography session, and maybe even get the autographs of these K-Pop idols. If you happen to spend time at Wet World Shah Alam, Starship Galatica@One Utama Shopping Mall or any other Only World Group business units, spending RM70 and above in a single receipt will gain you a complimentary single child entry to The Top, valid for 15th or 16th Dec, 2018. For more information about Pinkfong and Baby Shark Promo Tour at The Top Penang or to purchase your tickets, log on to the official website of The Top Penang or its Facebook Page. You may also contact +604-2623800.